Whew! I am totally exhausted. This past week has been an exercise in endurance. With a full-time job, online business, family and the holidays, I've been running a marathon of events all month. It's such a blessing though. I am glad to be surrounded by a family that loves and supports me, friends that inspire me, and customers that make everything they buy special. I am always looking for ways to improve myself and the products I offer. I had several wonderful discussions this weekend that has left me brimming with ideas. How could you not be inspired when surrounded by such positive and creative people?! Friday night was tough, my friend Kate (Lowder Colours Farms) and I left Oklahoma at 4 am. It's wonderful to have such a friend that you can count on. Kate has always been an inspiration to me. She has one of the largest flocks of fiber sheep in Oklahoma. She is a true Shepherdess who deserves more respect than sometimes given. We got to the facility early to set-up our booths. Throughout the years, I have become good friends with several of the other vendors, so it feels like a family reunion when we are together. We discuss past events, new techniques, and stories, whether funny or scary from recent times. We learn from each other, which is how I believe it should be. Though we all are in similar fields (selling yarns and fibers) we each are individuals with different things to offer. That night we listened and enjoyed the wonderful musings of the Mason-Dixon Girls. I think several of the attendees were smitten with getting to meet them. All the registrants got a book and were able to get it signed at the event. Saturday was far more leisurely than I expected. It was refreshing to talk with knitters about their purchases and projects planned. I love hearing about what others are planning to create and why. Let's face it, if we are going to spend hours, days, or years creating something, we have a lot of thoughts concerning the project. I think sometimes it is surprising for me, a "competitor", to show interest in another shop's yarn/fiber. Heck, I buy for other vendors too! I'm still lusting to get a LOOP batt to spin some day. Saturday evening, we wrapped up the show sadly. A few friends offered to buy Kate and I dinner after helping them load up their trailer. We ate at Colton's, who had the best baked sweet potato I've had in a while. Afterwards, Kate and I drove down to Knitting on the Corner, which is maybe a block from the convention center. It was a perfect way to end the evening. I did not have a project, but I gladly sat in the company of several knitters joking and chatting the evening away. It was the calm after the festival storm. I even walked away with some yarn! Thank you for keeping the shop open late that night! The next day, Kate and I took the scenic route back to Oklahoma. We visited the Heavener Runestone, which Kate had never seen before. The lady in the gift shop was so warm and passionate about the park. Apparently, the government was going to close the park several years ago, but some locals stepped up to take it over. She even had some handmade jewelry that she made herself to purchase. She told us that it had been hard keeping it going, so I made sure to pick up some items like a necklace and bag, and make a small donation. Share the love right? I'm still working on inventorying and relisting everything on Esty. I'm sore and tired, but truly feel great inside. Nothing like a great weekend with friends and fiber to lift the spirits. 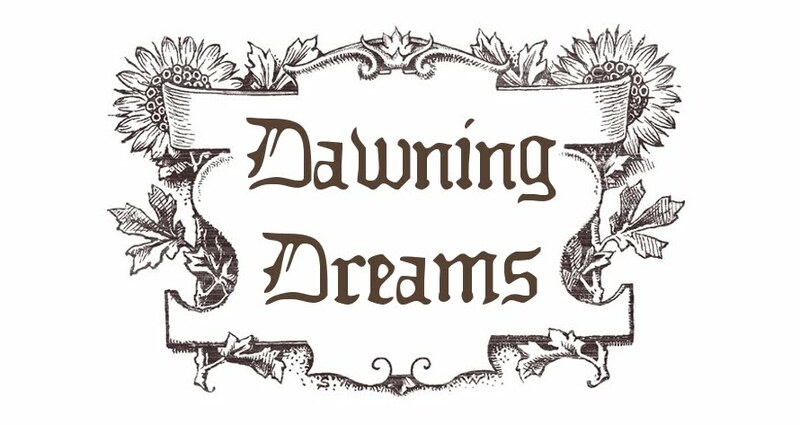 Sorry, most of the pictures I put up on my Dawning Dreams Facebook Page and Kate has the rest on her camera. Thank you, thank you, thank you for such a great and memorable weekend.